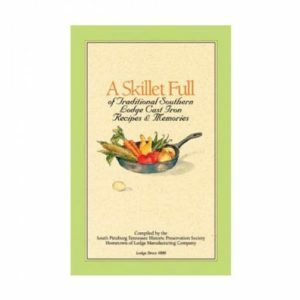 Packed with classic regional casseroles, soups and stews, new twists on old favorites, plus desserts from the icebox and the oven-this cookbook proves that cast iron isn’t just for cornbread. And with in-depth information on how to use and care for cast iron plus surprising tricks and tips — direct from Lodge fans — this cookbook is a comprehensive guide to getting the most out of cast-iron cookware. Packed with classic regional casseroles, soups and stews, new twists on old favorites, and desserts – Lodge Cast Iron Nation proves that cast iron isn’t just for cornbread. 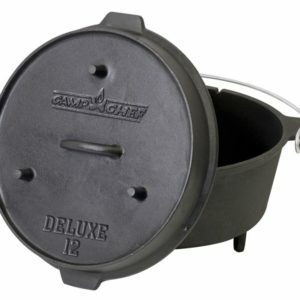 Cast-iron skillets, pots, and Dutch ovens are enjoying a surge in popularity among cookware users all across America, and no wonder: it’s inexpensive, long lasting, eco-friendly, sustainable, versatile, and healthy! 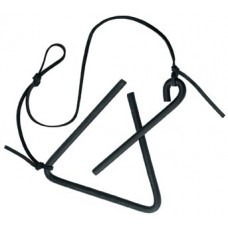 It’s no longer just for the camper or cowboy — today, it’s a staple piece of cookware in any kitchen helmed by a cook who loves good food. 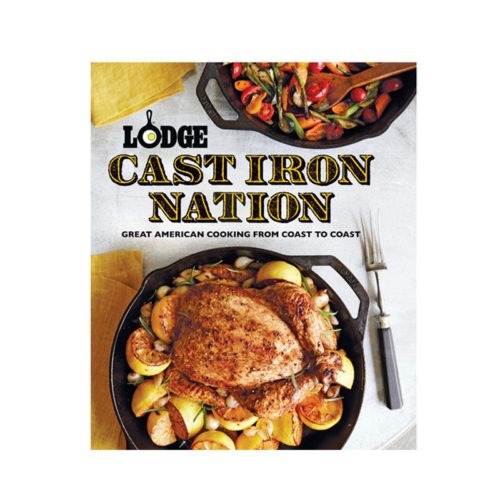 Lodge Cast Iron Nation provides 200 recipes curated from Lodge’s very own network of high-profile chefs and cast-iron cookware fans from around the country. Focused on American regional cuisine, it’s packed with a diverse array of recipes — everything from appetizers to desserts and everything in-between. 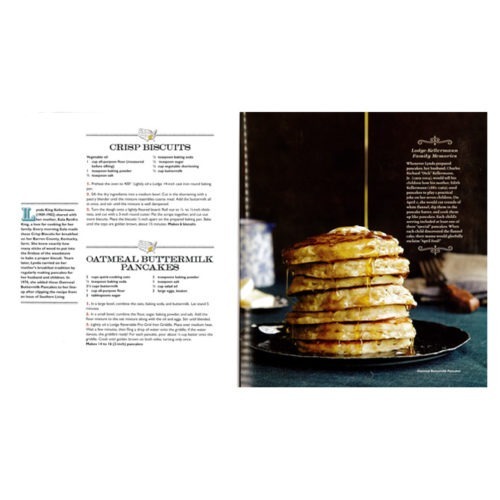 The book reveals the movement behind the resurgence in cast iron’s popularity, showcasing exciting new flavor combinations from popular chefs (like John Currence, Lidia Bastianich, Mark Bittman and Peter Kaminsky) and highlighting the cookware’s relevance for today’s cooks, who are increasingly concerned with issues of sustainability, health, and expense when it comes to their food choices. 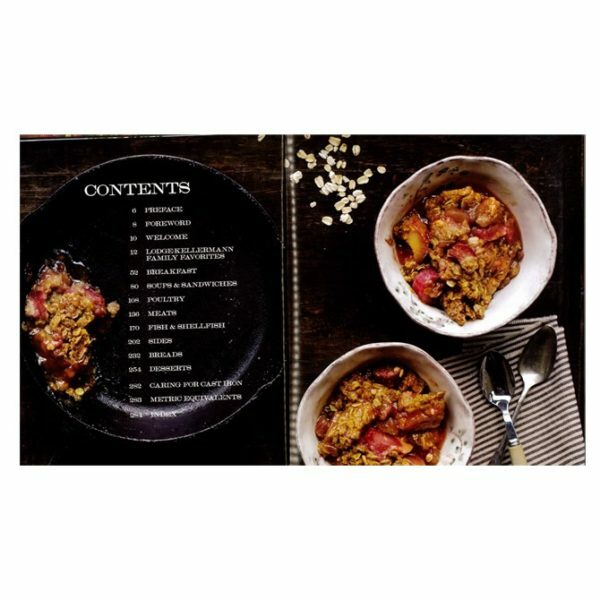 Packed with classic regional casseroles, soups and stews, new twists on old favorites, plus desserts from the icebox and the oven-this cookbook proves that cast iron isn’t just for cornbread. 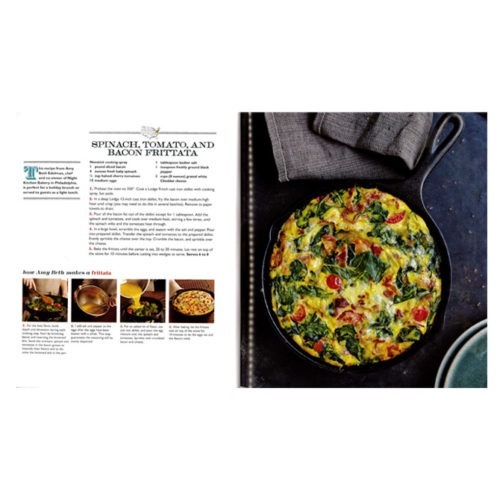 And with in-depth information on how to use and care for cast iron plus surprising tricks and tips — direct from Lodge fans — this cookbook is a comprehensive guide to getting the most out of cast-iron cookware. 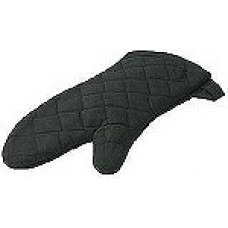 Finally, Lodge Cast Iron Nation gives back to the country it celebrates; a portion of the proceeds from the sale of every book will go to The Tennessee Aquarium’s Serve & Protect sustainable seafood program which is helping inland residents reduce their impact on the world ocean. 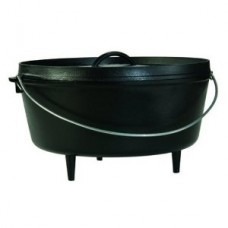 Lodge 8″ Camp Dutch Oven 2 qt. 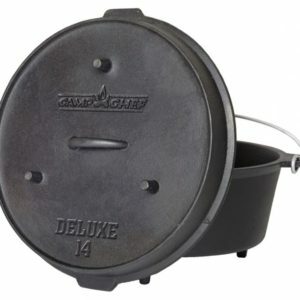 Camp Chef Deluxe 14″ Dutch Oven 12 qt. 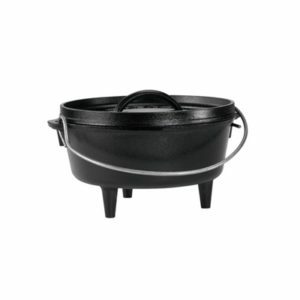 Lodge 14″ Deep Cast Iron Camp Dutch Oven 10 qt.